Welcome to the Marching ﻿Southerners﻿ Flute Line! 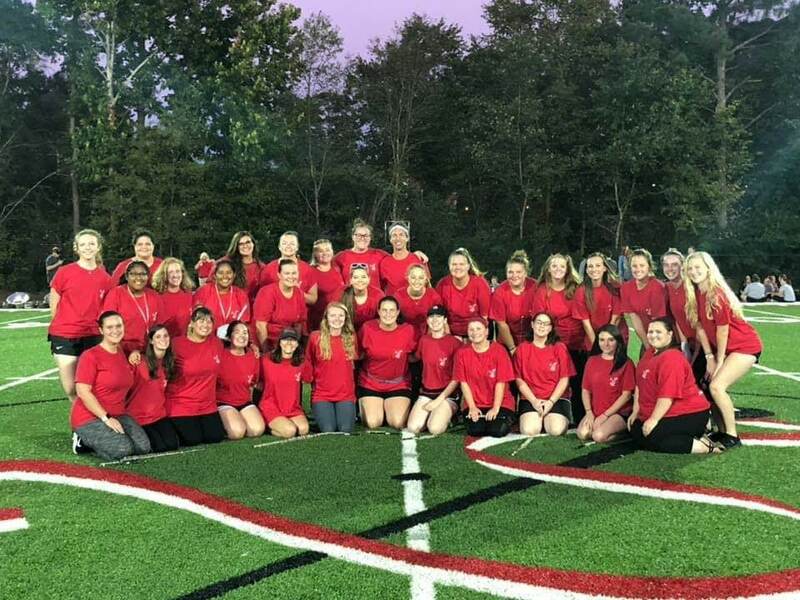 A nationally known entity of Jacksonville State University, the Marching Southerners have been defining the future of marching band for 60 years! With class and excellence, the Southerners truly embody all aspects of JSU's well known reputation as "The friendliest campus in the South" wherever they go, both on the field and off. If you're interested in joining the Marching Southerners Flute line, find more information under the Auditions page! 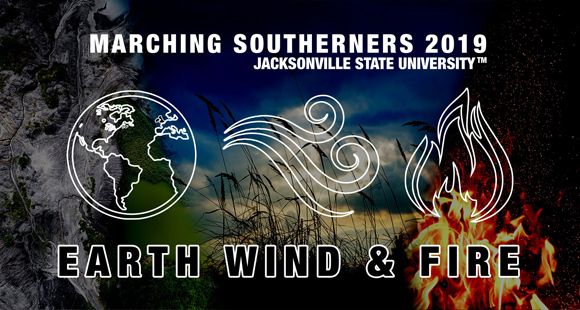 2019 Production- "Earth, Wind, and Fire"
​The Marching Southerners are proud to announce their 2019 production, EARTH, WIND, and FIRE — a musical and visual tour de force of titles and themes inspired by the elements of nature and creation. After a tranquil opening with the piano strains of Jill Jackson and Sy Miller’s Let there be Peace on Earth, the production begins with the raw power of the Southerners’ hornline and Takatsugu Muramatsu’s Earth for Flute and Piano. This fresh and cinematic melody perfectly sets the tone for the remainder of the production. The pace picks up dramatically with the soaring dexterity of the woodwind section in Richard Saucedo’s Windsprints. After this blistering start, the brass will enter and take it home with the high-energy fanfares the composition provides. Earth, Wind, and Fire is a legendary American band that celebrates the musical genres of R&B, soul, funk, jazz, disco, pop, and rock. Two of their most enduring hits, In the Stone and Septemberprovide the backdrop for the Ballerinas to take center stage in a “new school” feature incorporating styles never before presented. This one will be one for the books! Southerners’ ballads are in a league of their own. So much of the band’s storied history is centered on the classic ballad arrangements of the late JSU music professor, Dr. Jerryl Davis. With a nod to the ballad styles of their past, the Southerners are excited to finally present Simon and Garfunkel’s Bridge Over Troubled Water. Rich harmonies, tasteful solos and gospel inflections collide in a ballad that will find its place in the chronicles of Southerners history. Dies iræ! Dies illa! Solvet sæclum in favilla! (The day of wrath! That day will dissolve the world in ashes.) This ancient Latin text describes the day of judgment, where sinners will be cast into the eternal fire. In this dramatic spirit, the 2019 production comes to a close with an original composition entitled The Day of Wrath. Incorporating the Dies Irae themes from the Requiems of Mozart, Verdi, and Berlioz, this exciting closing production provides the soundtrack for the day the elements arrive at their burning conclusion! After a driving and intense percussion feature, the elements rise from the ashes and are “reborn” with Peter Graham’s Metropolis 1927. Made popular by Santa Clara Vanguard in their 2018 production, Babylon, this striking and contemporary composition brings Earth, Wind, and Fire to an earth-shaking close!